On Thursday, March 26, a good friend of mine that I’ve known since elementary died from cancer. His name was Joshua Villarreal, Josh for short. Josh was born in the year of 1999. He was in his freshman year this year. Joshua was diagnosed with cancer on October 5, 2014. Thankfully he lived through the New Year. God was with him throughout the whole thing. Thankfully he was a man in Christ. Joshua Villarreal had “Make A Wish Foundation” on his side, and he got a lot of gaming supplies. There has been a lot of support for Josh on Instagram and Facebook. Thank you to everyone that showed support, and if Josh was here he would be thanking you too. 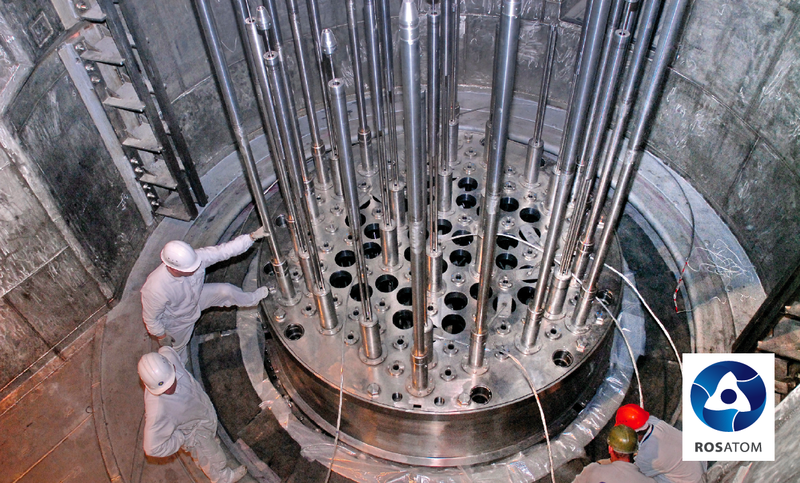 Jordan recently signed a ten billion dollar deal with Russia for a pre-used nuclear power plant. Jordan hopes nuclear power will help solve their growing demand for electricity. Representatives from Jordan said that “the Russian technology we chose in a very competitive process, has the ability to produce electricity at very competitive prices.” On March 24, 2015, a contract was signed with Russia for Jordan’s first power plant: Rosatom. This new power plant should be helpful to Jordan’s power problems and the demand for an efficient energy source. Jordan says their lives are going to be changed in small ways for the better. I guess you never really think of the common luxury of power until you live without it. Japan has beaten its own world record on the speed of its train; their last record was 590km/h or 367 mph. 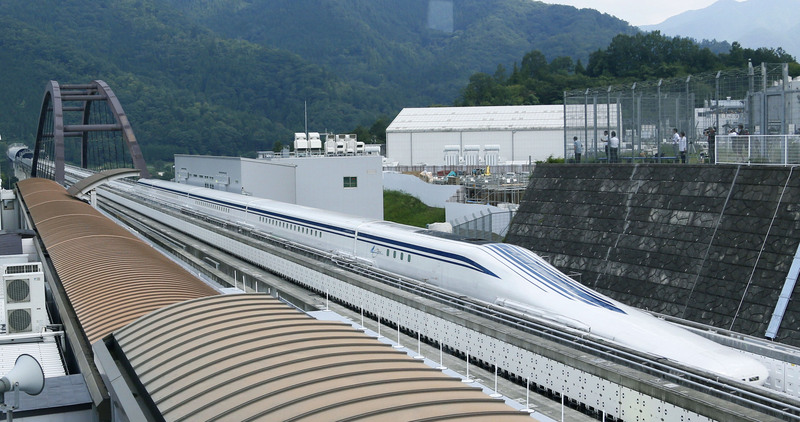 They beat their record with what they call the Japanese Magnetic Levitation Train, this time going 603km/h or 375m/ph. That is almost 2x as fast as a Formula 1 car can go. They call the train a Magnetic Levitation Train because the train uses electrically charged magnets to lift and move the train above the rail tracks. Central Japan Railway wants to make a train that goes between Tokyo and the central city of Nagoya by 2027. They estimate they could make this 280km journey in 40 minutes. Although the train goes 603 km/h, it would only go 505 km/h with people on it. That is 185km/h faster than the current train can go with passengers in it. The construction costs for this massive build are estimated at nearly 100 billion dollars, with more than 80% of the ride to go through expensive tunnels. According to BBC news, this technology is also going to be used to build a train going from New York to Washington, DC. This trip would take 60 minutes. The train that currently goes from New York to Washington, DC takes 3-4 hours. The future of travel is very bright. According to MSN there is a new search for a faster and better cancer blood test. Patients often have checks, or scans to be able to tell if tumors are shrinking, but it can take weeks or more before a tumor looks smaller on a scan. If a blood test showed cancer DNA, what would that mean? One early use for DNA blood tests may be helping doctors decide which patients with Stage 2 colon cancer need chemotherapy. It is said to be like “bar-coding the cancer in the blood.” The blood tests also allow frequent monitoring of tumors as they spread and mutate or develop resistance to treatment. 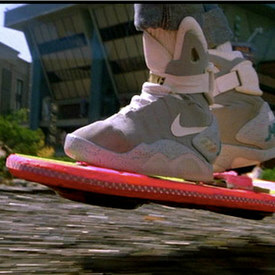 note: Actual working hoverboard not shown. On Monday I had the honor of interviewing Jacob Shupp for the 8th grade Academic Demonstration Night. Jacob’s group includes Alisha McCullen, Tyler Gonsalves and Mary Wright. They are working on building a hovercraft. Middle School Social: Fried Chicken Edition! Almost two weeks ago, there was a social that was held. We ate fried chicken, potato salad, and cookies. We also got the chance to play capture the chicken. A lot of people enjoyed this game because we were playing with a raw chicken. The team captains picked the teams. There was an orange team and a green team, and the green team totally destroyed the orange team. My favorite part of the social was watching the middle and high school perform the play that they’ve been working on for so long. During the play several teachers made a special appearance. Those teachers were Mr. Kiefer, Mr. Wilcox, and Mr. Sanchez. Even though I enjoyed watching both plays, my favorite play was the high school play. I liked this play the most because every single person was funny. Even the people who didn’t have that many lines were funny because of their reactions to the others’ comments. This was one of the best socials that I’ve been to. FC Barcelona is on fire! 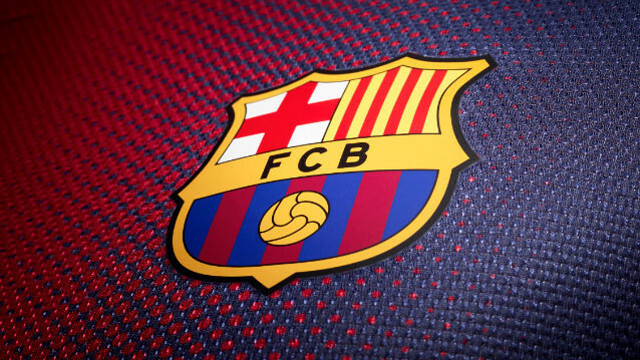 FC Barcelona recently won against Real Madrid 2-1. It was an exhilarating game. FC Barcelona opened the game up with an indirect kick from Lionel Messi who crossed it into the 18 where Jeremy Mathieu was there to head it in: 1-0. While Real Madrid was on the counter attack, Karim Benzema got the ball in the 18 and back-heeled it to Cristiano Ronaldo who scored. By the 30th minute the game was 1-1. Nine minutes later Real Madrid got a corner kick. They passed it back to the man outside of the 18, who crossed it to Karim Benzema, who crossed it to Pepe, who headed it to Bale, who finally scored. But, Pepe was offsides. Barcelona won 2-1. Barcelona is still first place in their league, if they lost this game they would have been one point away from tying instead of being one ahead of Real Madrid. For those who have not heard, our second to last sports award ceremony was held a few weeks ago. Awards for girls’ volleyball, and boys’ soccer were handed out during this time. For now though, this article will be more of a tribute to the volleyball and soccer players, as we interviewed several members about their experiences. Starting with girls’ volleyball, we had the chance to interview Izabella Alfaro, one of the setters on the team. She said that the reason why she chose to join the volleyball team was because her parents had encouraged her to do so. Since joining the team two years ago, her coaches have continued to help her grow. This year’s coach was Mrs. Moog, who was there to support the team as they continued to flourish. She helped her improve her setting skills, and coordination skills for the entire team, since they would bump into each other during games. Along with motivational support from their coach, team players also encouraged others. Izabella and others believe that the most inspirational person on her team is Vanessa Harris, who is a setter as well. She acknowledged her as being most inspirational because of her understanding and delicate patience with her fellow teammates. Izabella understands that this trait is not common among people, so seeing this in Vanessa was very encouraging in her volleyball season. The team practiced a couple times a week. According to Izabella, the most effective exercise they practiced was called 6 on 6, where they mimic real-time games on the court. Playing this exercise was effective in that it helped the team to react to certain volleyball instances, while allowing them to have fun. And before we forget, boys’ soccer also made a phenomenal showing, as they played diligently throughout each game. Even though they were 6th place out of twelve teams, they did a great job throughout the season. The Talon’s own Noah Weatherbie got the Most Dedicated award for his ability to play different positions per the Coach’s request. Both the girls’ volleyball and the boys’ soccer played outstandingly during their seasons. 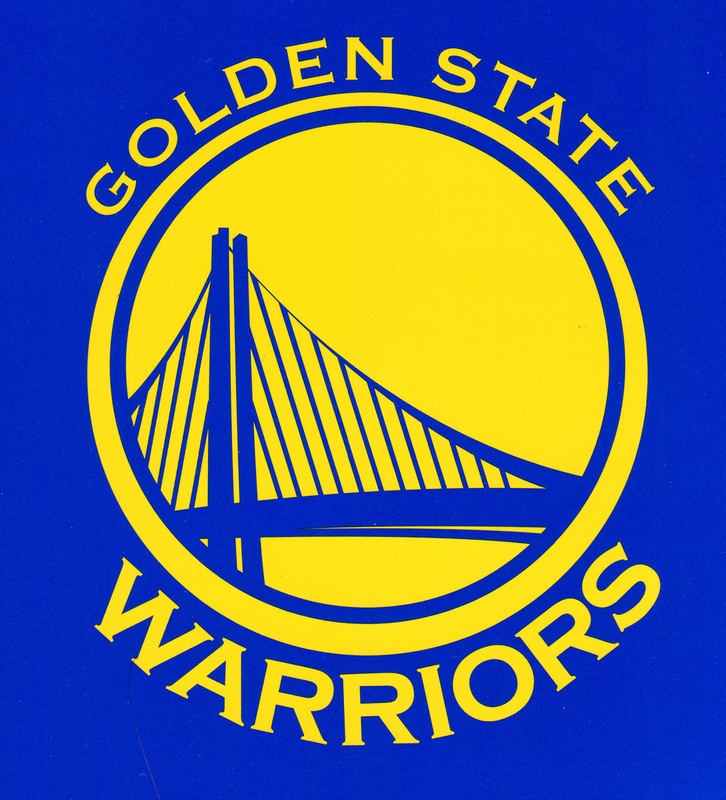 On April 24th, the Warriors beat the Pelicans 123-119 in overtime after being 20 points behind at the beginning of the 4th quarter. Many viewers say that this was only possible because of Stephen Curry and his personal score of 40. This is the biggest comeback in NBA history! Stephen Curry said that this is definitely an accomplishment to be celebrated. Not just because of his personal score but because of their overall teamwork. This is a huge deal for the Warriors and a devastating defeat to the Pelicans who thought they had the game in the bag. On Friday, April 24th, the drama class performed a drama called “Yo ho ho and a Wad of Gum.” They had been practicing diligently since the beginning of 3rd quarter. Out of the 21 people in it, each had an important to play. Some of the teachers were in the play too, like Mr. Sanchez, Mr. Wilcox, and Mr. Keifer. The play was about a hillbilly family who was trying to throw a birthday party for their grandpa but kept getting interrupted by mean pirates. The pirates were not going to give up interrupting the family while they were putting up decorations. In the end the hillbillies and the pirates make up and become family. The play was interesting and fun. Even though they had some sound problems, they worked through it and made the show entertaining to watch. In Schaumburg, Illinois lies a restaurant named ‘Level 257’ created by the video game company NAMCO. By the looks of it, you’d think it’s an odd store or a stadium of some kind, but it is actually a restaurant entirely themed to look like the Pac-Man arcade game. It’s a prototype video game restaurant dedicated to the 35th birthday of Pac-Man. The restaurant was given the name “257” because in the Pac-Man video games, the highest level is 255. If you beat that level in this restaurant, you’ll find a hidden level of “256”. The name refers to being another step above that. The area of the restaurant is huge at the size of 40,000 square feet! This restaurant has also added a new system for paying. It allows you to pay by the hour due to some people being terrible at the game and others thinking of it as a piece of cake. The other great thing about ‘Level 257’ is that the food seems to be incredible. According to the Daily Herald, people were wowed by the quality of their food. Because of the massive amount of space, they’ve added a new gift shop with hundreds of items made especially for the restaurant itself. They have a new slogan called “eat life up”, referring to how Pac-Man eats the little dots and cherries. Right now, the restaurant can hold approximately of 1,000 people, and 160 employees. 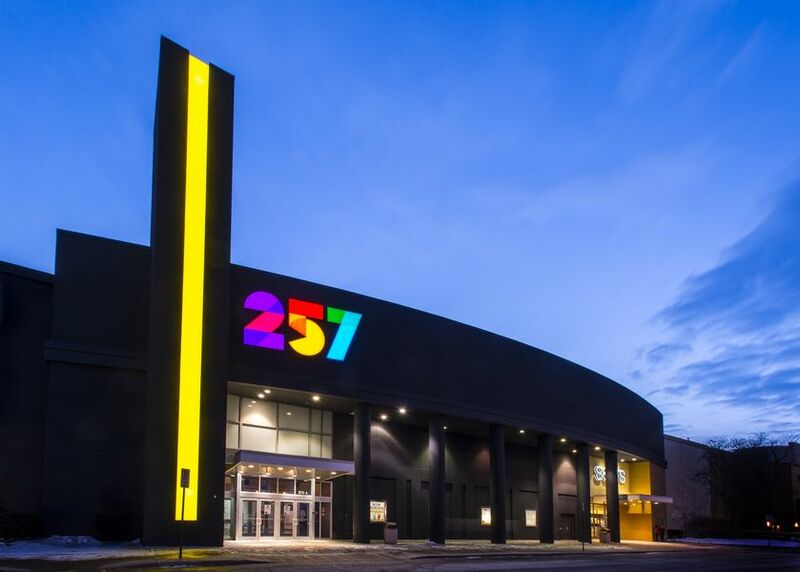 NAMCO is currently looking for other locations to expand the chain since it did so well, so be on the lookout for a ‘Level 257’ to be opening near you!